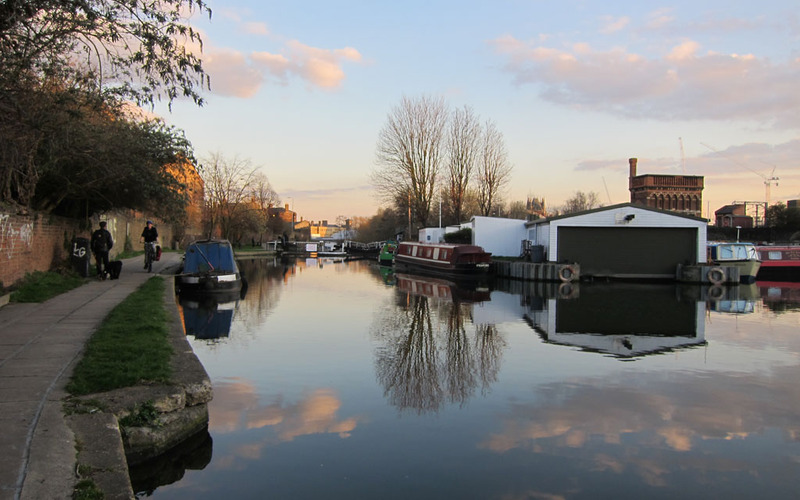 One of the best things about living in Kings Cross – apart from the central location – was the area’s proximity to Regent’s Canal. And thanks to our flat’s incredible location on the back of Battlebridge Basin the distance between our place and the Grand Union Towpath was no more than a few minutes walk. Often I would find myself out on the path, leisurely walking up to Camden. A walk which would take no more than 30 minutes. On a sunny day (Yes! London does see the sun), I would happily while away the minutes strolling along the waterway that flows behind St Pancras Station, passing colourful Long Boats as they steadily navigated their way through the manually operated locks. Apart from occasionally having to move out of the way for bike traffic and ducking under low lying bridges, the stroll to Camden is pleasant and generally uninterrupted. The walk for the most part is scenic, yet in some sections it’s somewhat bare and not particularly pretty. However in saying that, just being so close to water outweighs the sparseness l think. Actually, Regent’s Canal and the urban landscape that surrounds it has seen a huge amount of redevelopment in the past few years, and it continues to do so. The once graffiti covered bridges, gleam with freshly coated paint and benches now line the waterway. Sadly the canal is still prone to careless rubbish dumpling, despite the regeneration movement. Certainly the odd Tesco carrier bag can be seen floating about. Yet despite the rubbish, which is a reflection of some mindless folk rather that the canal itself, the walk along the former towpath is an easy and enjoyable way to get to Camden. So if you do get the chance or have the time I would definitely recommend it, especially as it means avoiding the hoards of people getting off the Tube at Camden Town. If the noise from the gossiping youngsters sitting on the waters edge isn’t a big enough signal to tell you you’ve reached Camden, there are plenty of signposts to tell you you’ve arrived at your destination and to exit via the ramp. Also, Regent’s Canal does not just stop at Camden nor does it start at Kings Cross. Both are mere points along the 13.8 kilometres stretch of waterway. 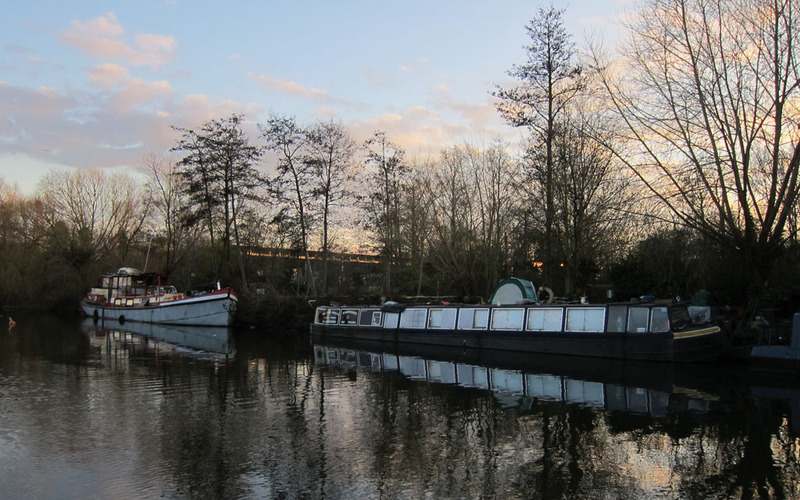 If you’re feeling energetic, adventurous or both, from Camden simply continue west along the path and you will eventually reach Paddington Basin passing through Regent’s Park and Little Venice. Where as if you continue east on the path from Kings Cross you’ll end up walking towards Hackney Wick and further afield Limehouse Basin. Grab a drink and take a seat on The Constitutions large sun drenched beer garden overlooking Regent's Canal. 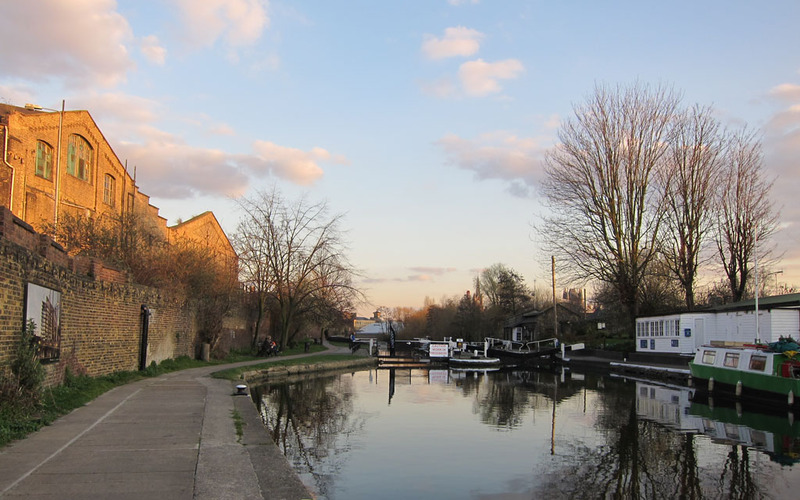 Take a Leisurely stroll along Regent's Canal. From Caledonian Road in Kings Cross it will take about 30 minutes to reach Camden Town.